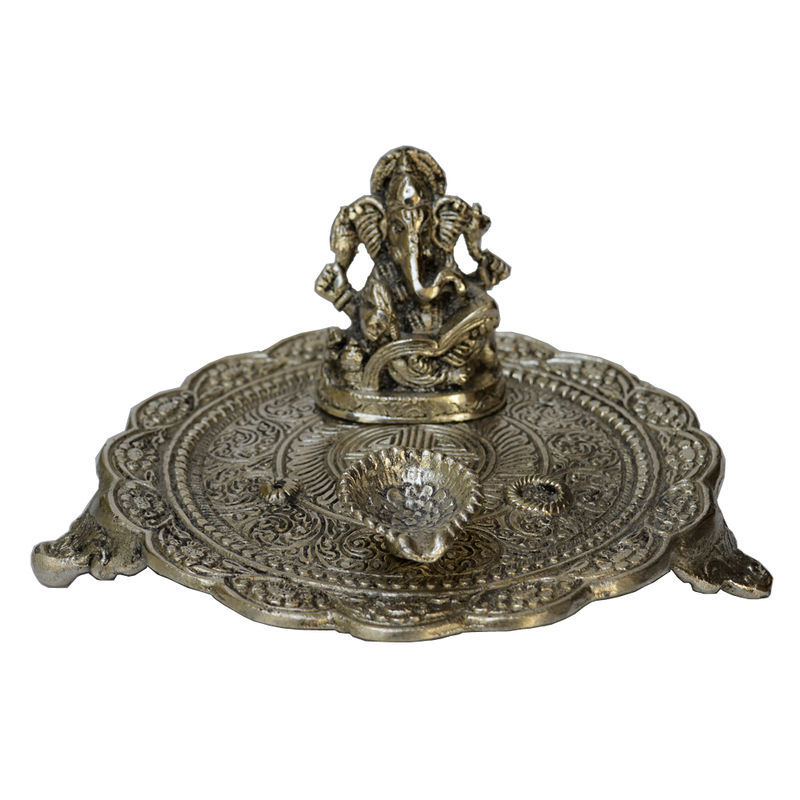 Buyers intending to bring home piousness will feel obliged to opt for this Oxidized Round Chowki with Ganesh and Diya for their household. The idol Read More..of Lord Ganesh will appeal to all His devotees while the Diya will light up their home with radiant glow of piety. Moreover, the intricate quality of craftsmanship on the chowki enhances its visual appeal to make it the perfect addition to any home temple. Show Less..